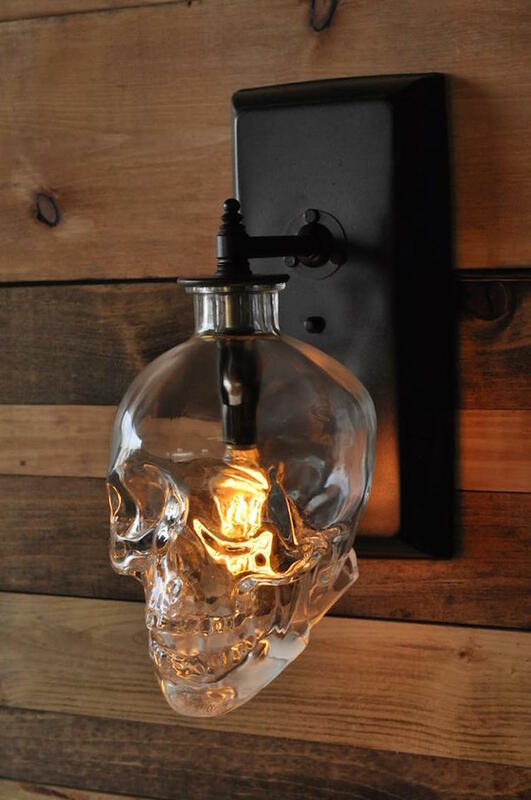 Rob Lewbel, the Los Angeles-based movie lighting expert who created the glowing briefcase for the 1994 film Pulp Fiction, has found an ingenious way to recycle the skull-shaped Crystal Head Vodka bottles by making them into spooky Skull Wall Sconces that can be custom-made to order. 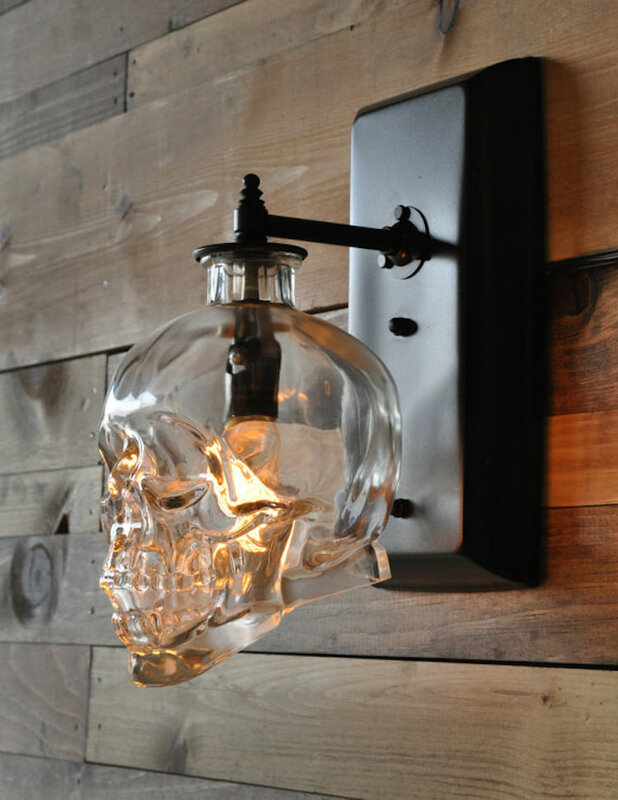 This is a wall sconce made from a recycled Crystal Head Vodka 750 ML bottle. 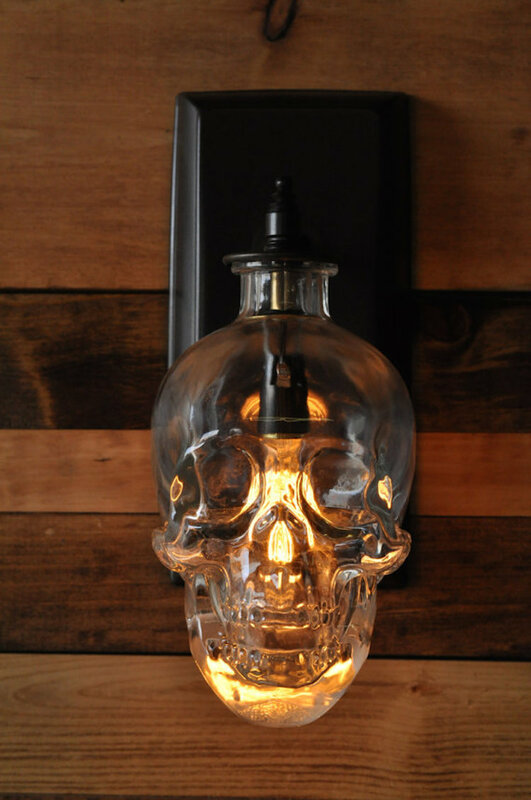 A set of two of these would look awesome on either side of the bar or mantel. Switch the bulb to red for Halloween! It takes a candelabra sized bulb, up to 40 watts and I can finish the brass metal in black or oil rubbed bronze, or leave it unfinished altogether. The wall sconce, along with Lewbel’s other marvelous recycled creations, is available for purchase at the Moonshine Lamp Etsy shop.